Oh my word, was today's breakfast ever yummy! 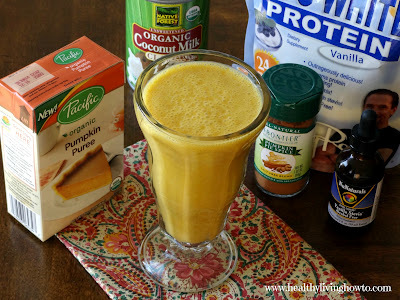 I exercised first, then fueled up with a healthy Pumpkin Pie Protein Shake. Now I am ready to go…..shopping! We are off to brave the crowds at Whole Foods and Costco to shop for our Thanksgiving dinner groceries. Enjoy!